The 10 Best Steakhouses in New York! New York’s steakhouses draw the attention of culinary masterminds around the world. You’ll find only the most prime cuts of beef at the great steakhouses of the Empire State. Not only that, but some of these places are national icons. 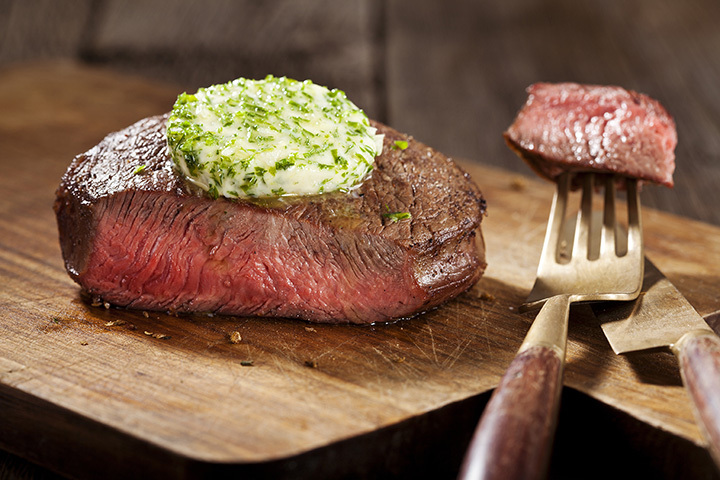 Here are 10 of the finest steak houses to sink your teeth into! This world-famous steakhouse has been running the New York City steak scene since 1887, dry-aging the meat in the basement of its German-beer-hall-style space. It’s a must-visit for carnivores in the city! Keens Steakhouse is known for its lavish interior and decadent meats, which it has been faithfully serving since 1885. The mutton chops are not to missed at this New York meat-lover’s institution. Located in Albany’s theater district, this premier steak house delivers top-quality Kobe beef and prime-grade steaks in a lavish, upscale setting. Sloan’s serves up local, farm-fresh beef that’s butchered weekly in house. The restaurant is large and bright, with lots of wood elements and a comfortable atmosphere. Buffalo’s five-star steakhouse cooks only the highest-quality prime beef, serving it to patrons in a large, elegant space for the most memorable dining experience. Bistro Elephant cooks Kobe beef and other quality cuts in a sophisticated space in downtown Syracuse. The restaurant boasts jazz nights and an extensive wine list. Owner Wolfgang Zwiener learned from the best after waiting tables at Peter Luger for decades. In 2004, he opened the first Wolfgang’s Steakhouse, an upscale restaurant with dry-aged cuts that rival Peter Luger’s. Serving simple, quality meat at affordable prices, it’s no wonder St. Anselm always has lines out the door. The Williamsburg steak house has quickly earned a cult following. This former dockworker’s chophouse opened in 1868, and it retains the vintage ambience today. Fans flock there for fine cuts of beef in an elegant club-like setting.